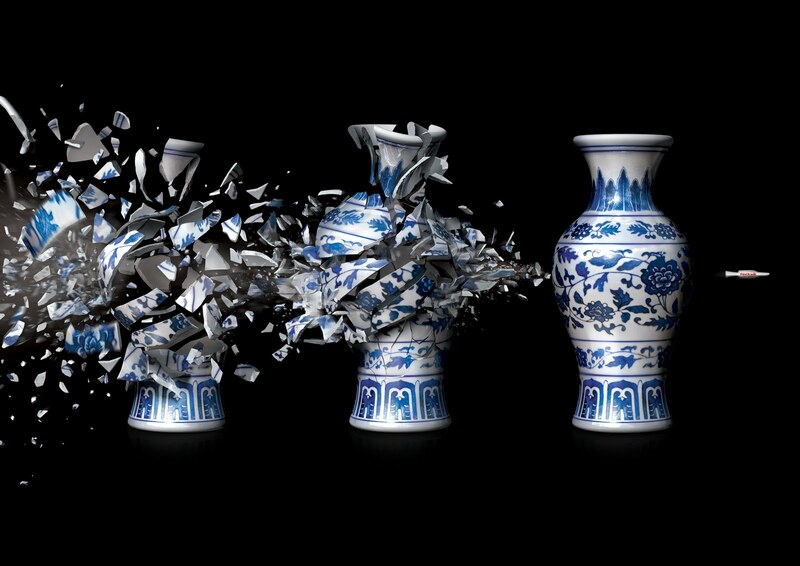 FeviKwik adhesive is promoted in “Shattered”, a print advertisement featuring a breaking vase and a bullet of glue, designed by OgilvyOne Hongkong. The Fevikwik one drop instant adhesive travels from left to right, transforming a shattered vase into its original state. The Vase ad was developed at OgilvyOne Hong Kong, by executive creative director Shayne Pooley, creative director Alvin Lim, asociate creative director Matthew Nisbet, art directors Kelvin Yuen and Cathy Chan, with photography by T-Films, Hong Kong, and retouching by Redworks, Hong Kong.